The Bible is a big book full of important life lessons–and it’s never too early to start on the road to Biblical instruction and character training. This 54-page Color & Learn Activity ebook is a perfect first step for your little ones! 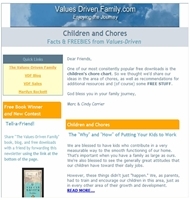 Designed by a homeschooling Mom of 8 children (and former preschool teacher), this coloring book invites children to learn more about the truths of God’s Word by focusing on twelve key character traits: faith, surrender, love, faithfulness, wisdom, self-control, righteousness, holiness, humility, diligence, generosity, and praise. There are four coloring pages for each trait, which include a Bible verse and a simple affirmation so that children can apply God’s Word in practical ways to their own lives. Also included is a short letter to children, explaining to them how God wants us to grow to be more like Jesus each and every day. 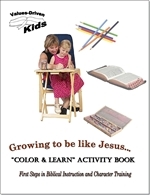 You’ll also find a Character Training Dictionary for parents, with definitions and Bible verses for study that will help parents and children alike to grow in the twelve character traits covered in the coloring book.